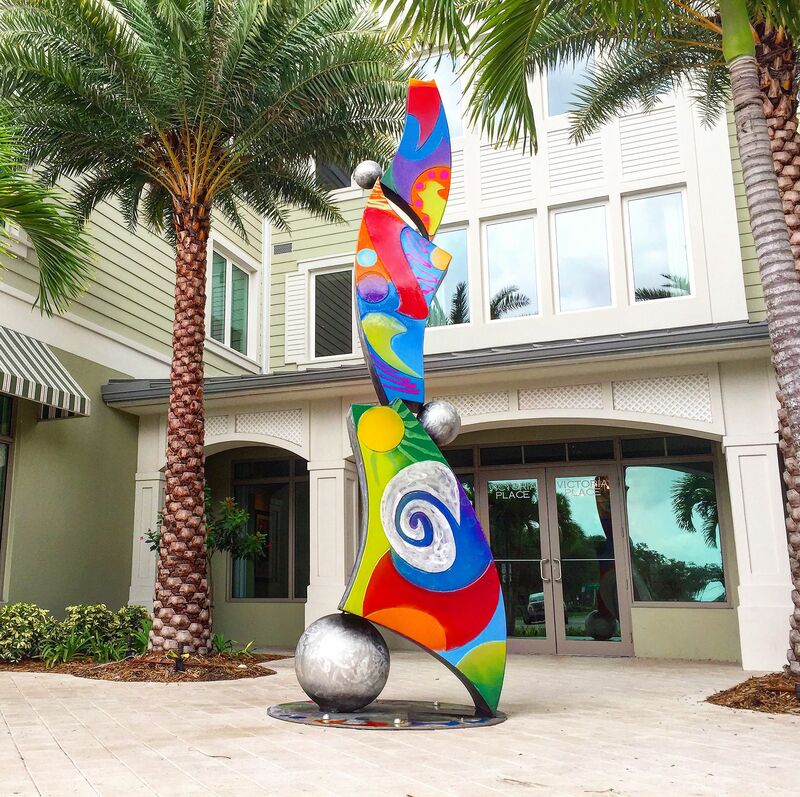 In early 2017 downtown Dunedin became even more vibrant with this colorful sculpture by artist Clayton Swartz. 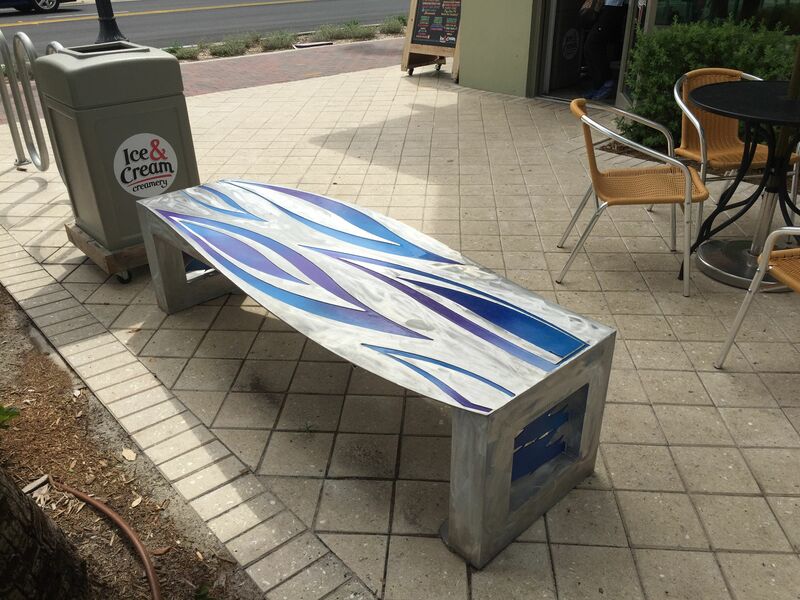 Also, installed were a second modern sculpture and two benches. This sculpture is 12 foot tall and made of aluminum and enamel with a long lasting automotive finish.